Do you feel like the clutter in your home is taking over? Are you overwhelmed and don’t know where to start to get organized? Feeling stressed and overwhelmed by the mess? 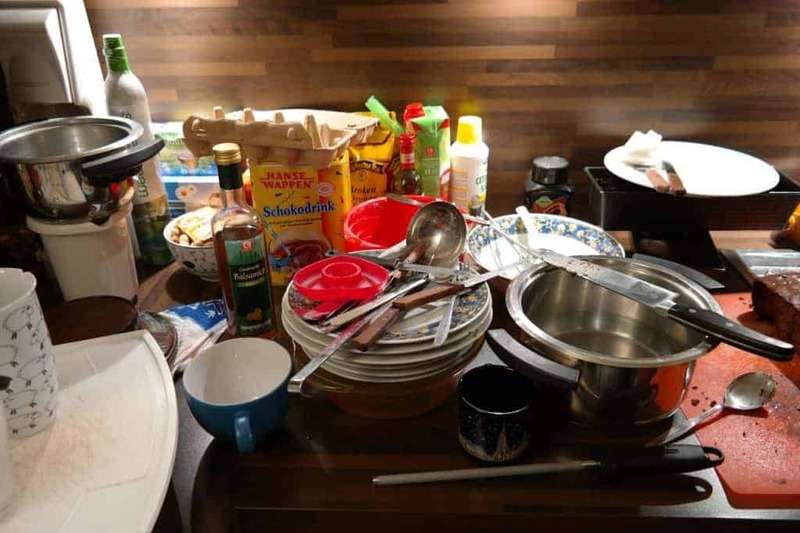 Fed up of nagging your family to clean up? Being late for work because you can’t find your keys/purse/phone? Late fees for paying a bill late because you lost the bill? Eating junk or eating out because you can’t face the messy kitchen? Allergies making you feel gross because of dust? Not having friends over (or kids having friends over) because of the mess? Spending money on organization “solutions” that don’t work? Just reading that list makes me stressed! For your own sake, you need to declutter your home so you can declutter your life! Life is stressful enough. Our homes should be an oasis of calm, they shouldn’t add to our stress. I used to work as a Professional Organizer and I have seen the toll that clutter can take on a person, their health, and their relationships. I worked with families that were on the brink of collapse because of the clutter in their homes. There was an endless cycle of blame and resentment. Breaking that cycle was key to saving their sanity and relationships. 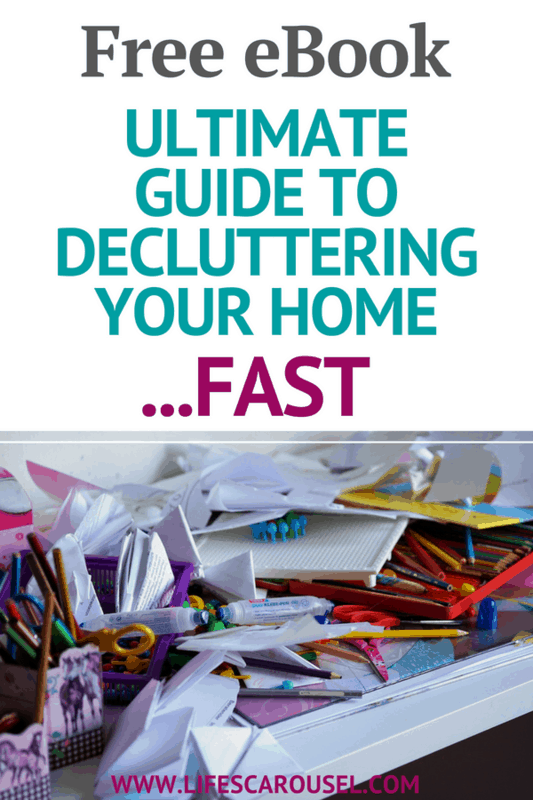 I decided to write an Ultimate Guide to Decluttering Your Home to help more families clear the clutter and live better lives. This ebook isn’t about making money or trying to sell you things (in fact it’s about trying to save you money too!). So I’m offering it to my readers for free! Just enter your name and email address below and I will email it straight to you! Everyone deserves to have an organized and peaceful home. We have so many pressures in like that we often feel overwhelmed. Our homes shouldn’t add to that stress. Can’t keep up with your cleaning chores? Dirt getting you down? Check out my Quick Cleaning Tips for Busy People! Sooo excited and still laughing,its almost as if I gave the examples my self. lol cant wait to start the purge. That’s great Becca. Glad to hear you’re excited! I actually get a lot of satisfaction from a good purge. I’d love to hear how you do! I am pretty good at purgin, but the hubs is … Well, not! Haha. I’m going to read this and just start purging. Then, when the house looks better he can’t complain or I will just act all offended. What! I clean the house and you don’t even appreciate it?! Hehehe. Thank you for taking the time to put this stuff together! Thanks Terra! I have the same problem at home, but once you get started, they normally join in once they see how nice a decluttered home is.